Buyers can purchase Ferrous Sulphate Heptahydrate from us at market leading prices. 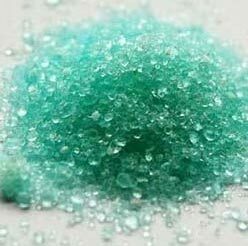 Available with us in varied grades, the Ferrous Sulphate Heptahydrate we offer is of correct pH value and purity. Buyers can purchase it from us in bulk or retail amount. We offer Ferrous Sulphate Heptahydrate in chemical grade packaging.